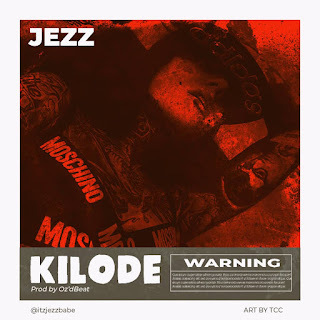 After going on a long break after the release of “Shut Up” music video, the long anticipated song “Kilode” which has long been on hold due to the shuffle in the artiste schedule, has been released by Jezz. This song was inspired by hustle both in the entertainment industry and the society as a whole. The song entails why and how any human force whatsoever can’t stop a determined individual, even with the no’s, you can’t, who are you? And where do you come from? This rants from the societal pessimists who don’t believe in the power of determination, persistence and optimism of an individual seeking self development, betterment and the greatness of his surrounding environs. “Kilode” (what is it?) No binds, no locks and trash talks can soil a determined and persistent soul. Download, listen, get the message, never stop believing and wait for something better.